You know what one of the saddest times of the year is? When Girl Scout Cookies go away and you realize that you never got any. No Thin Mints. No Tagalongs. And…the saddest of all…no Samoas. The caramel. The chocolate. The toasted coconut. So I have kind of a funny story about how this recipe came to be. I was sadly standing in front of my pantry, realizing I’d missed Girl Scout season and not wanting to make dinner (which will make an appearance on the blog in the future). And I decided it would be fun to ease my pain with ingredients from my pantry. It just kind of happened. Magically. It all came together and it was amazing, like an over-the-top decadent version of my favorite cookie. In a jar. You’re going to need graham cracker crumbs, sugar, melted butter, instant cheesecake-flavored pudding, coconut, coconut extract, sweetened condensed milk, caramel sauce, chocolate sauce. In a small skillet, toast 1 cup of coconut over medium heat, stirring frequently, until golden brown. Set aside. 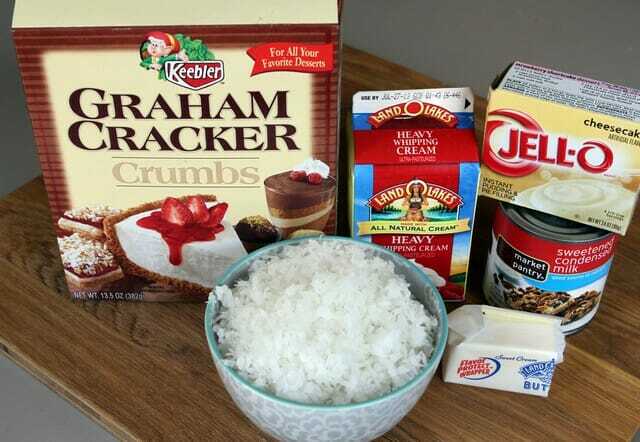 In a small mixing bowl, combine the graham cracker crumbs, sugar, and melted butter. Press 1 tablespoon of the crumb mixture into a 4-ounce jars, mugs, ramekins, or other container*. Repeat with 11 more jars. Set aside. and the coconut extract. Gently fold in the whipped cream. Spoon about 3 level tablespoons of the pudding mixture on top of the crust. Whip the remaining 1 cup of cream until ALMOST stiff peaks form. Drizzle half of the mixture with caramel sauce and the other half with chocolate sauce. 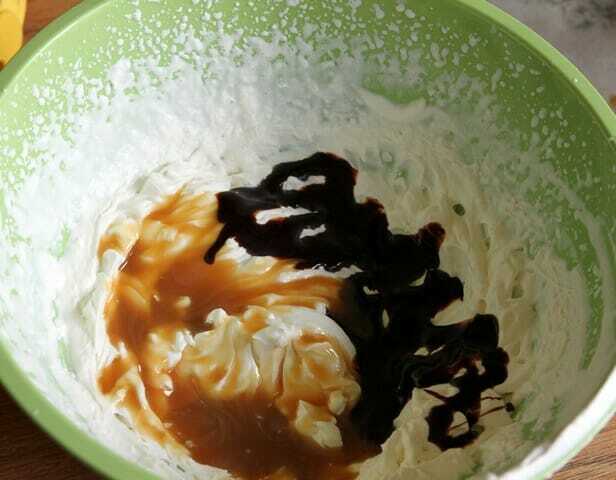 Stir a few times so the whipped cream is streaked with caramel and chocolate but not totally mixed. 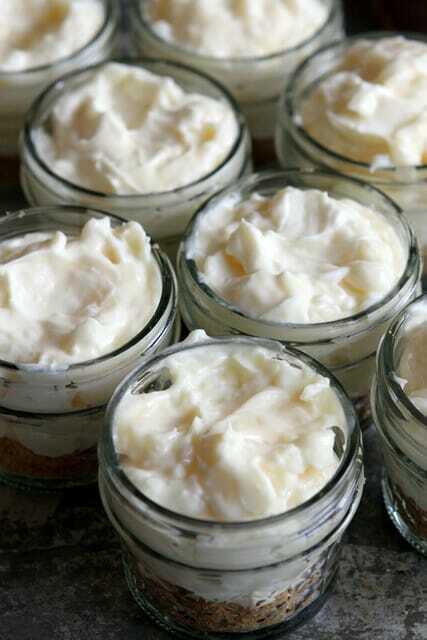 Spoon the flavored whipped cream on top of the jars. 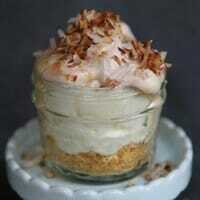 Sprinkle the cream with the toasted coconut and serve immediately. If you want to make these ahead of time, prepare the pies through the step where you spoon the filling into the jars and then drizzle with caramel and make the whipped cream topping right before serving. Makes 12 mini pies or 2 full-size pies. *This can also be made in 2 8-serving graham cracker pie crusts. Divide the ingredients evenly between the two pie crusts. 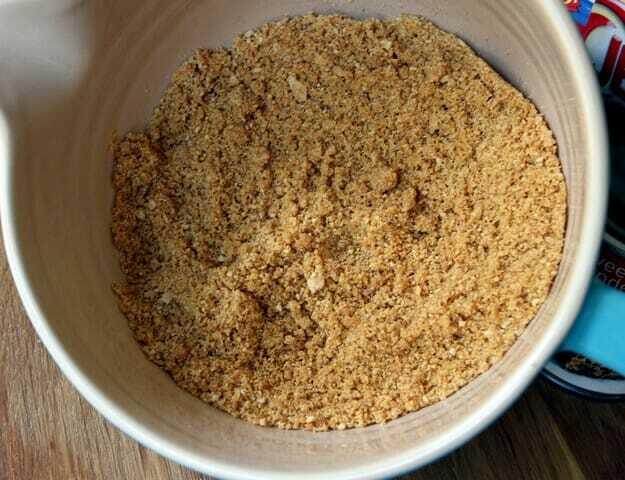 In a small mixing bowl, combine the graham cracker crumbs, sugar, and melted butter. 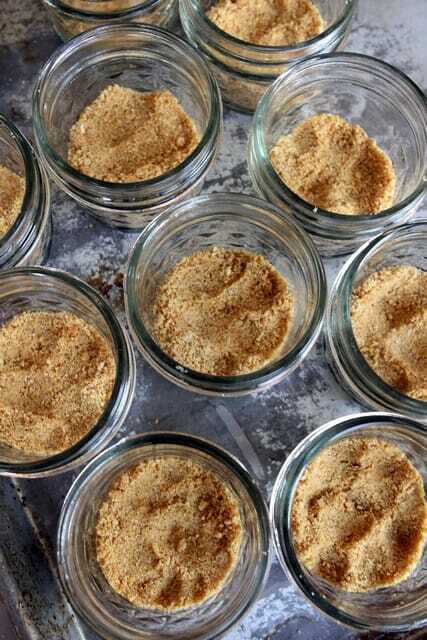 Press 1 tablespoon of the crumb mixture into a 4-ounce jars, mugs, ramekins, or other container*. Repeat with 11 more jars. Set aside. In a medium mixing bowl, whisk together the pudding, sweetened condensed milk, and water. Place the bowl in the refrigerator. In a separate bowl, beat 1 cup of whipping cream until medium peaks form. Remove the bowl of pudding from the refrigerator. 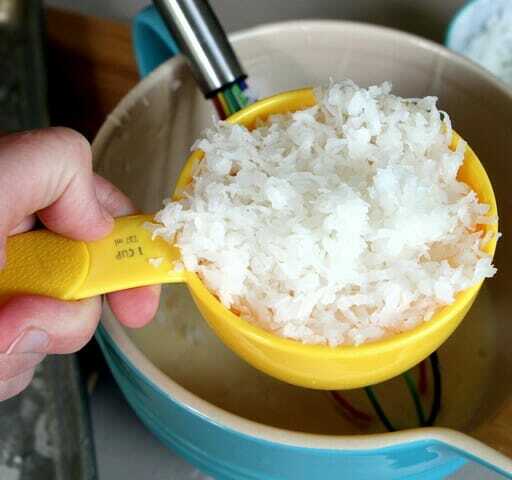 Whisk in 1 cup of the coconut and the coconut extract. Gently fold in the whipped cream. Spoon about 3 level tablespoons of the pudding mixture on top of the crust. Set aside. Whip the remaining 1 cup of cream until ALMOST stiff peaks form. Drizzle half of the mixture with caramel sauce and the other half with chocolate sauce. Stir a few times so the whipped cream is streaked with caramel and chocolate but not totally mixed. 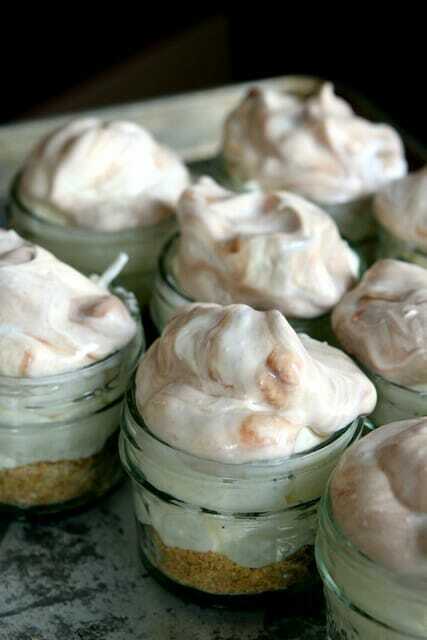 Spoon the flavored whipped cream on top of the jars. Drizzle with caramel sauce (it’s okay if it drips down the sides.) 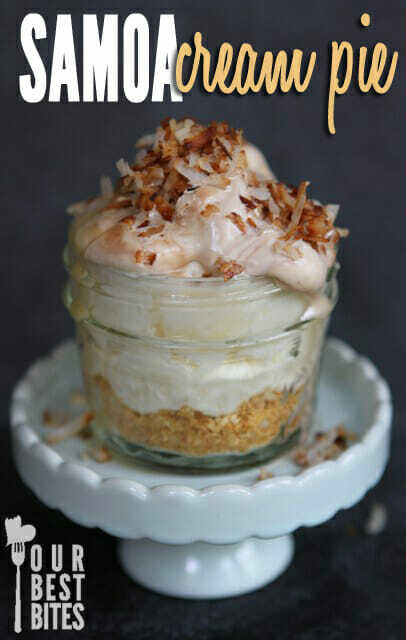 Sprinkle the cream with the toasted coconut and serve immediately. 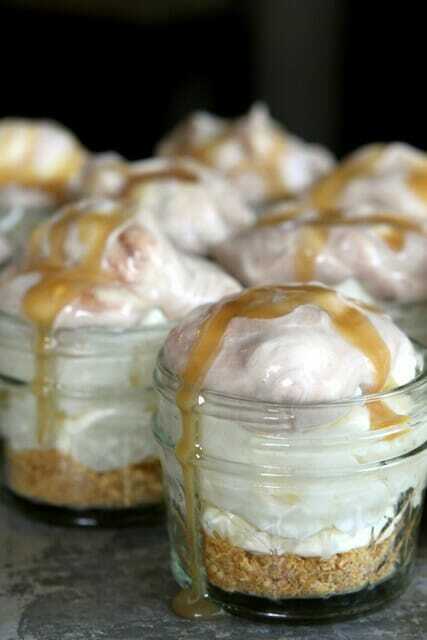 If you want to make these ahead of time, prepare the pies through the step where you spoon the filling into the jars and then drizzle with caramel and make the whipped cream topping right before serving. Makes 12 mini pies or 2 full-size pies. ‘I don’t feel like making dinner. I want to make dessert.’ Amen. You deserve a Girl Scout badge for this! All of the favorites are present and accounted for in this recipe! Mmmmm! Whoa! This is amazing and so cute! I love the little jars! I think I’ve died and gone to heaven just LOOKING. Yum…. I realized last night that we have Blue Bell’s Coconut Fudge ice cream and that if I top it with caramel sauce, it is practically Samoa ice cream. As a 12 year veteran of selling GS cookies, I find it especially sad to have missed cookie season. That looks so yummy! Do you always have ingredients like this just sitting in your pantry, waiting for the miracle of creation? Oh please tell us where we can get the cute little white ceramic pedestals you displayed the dessert on?! Thank you! Am I supposed to prepare the pudding with milk first, or just mix the pudding powder with the sweetened condensed milk? Sounds delicious!! This looks super good! I’m going to try it for a summer get-to-gather! Dear Kate, you are my best friend. Ever. I definitely need this in my life. Maybe next weekend though. This looks so delicious and totally dangerous! I can’t wait to try. Maybe for fourth of July. 🙂 Keep up the great work. I was having a hard time deciding what to make for dessert at tonight’s dinner so I decided to see what those OBB girls had going on. As soon as the page loaded and the Samoa Cream Pie popped up, I was sold. Deliciousness! Everyone loved it, minus a couple of kids who seem to think coconut is a vegetable. Oh well, more for me! Made these for our weekly extended family Sunday dinner last weekend. They turned out perfectly! I made this last fall for a pie party and loved it so much! 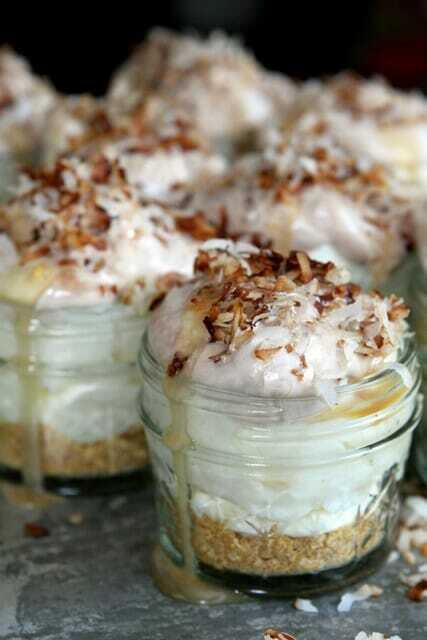 I have been wanting to make it again but forgot where I found the recipe and thought it was coconut cream pie. I have been searching for the recipe for two weeks. I was just telling my hubby how frustrated I was by not finding it. He told me to pray about it and then check our best bites! And here it is! I am so happy! We are having it tonight for dinner as I had remembered key ingredients and bought them last week! Thanks so much! You girls rock! I made this for Father’s Day as my husband is a coconut junkie. I altered it just a bit, by putting little of the toasted coconut, carmel and chocolate under the whipped cream. I also made it as a pie instead of in cups. 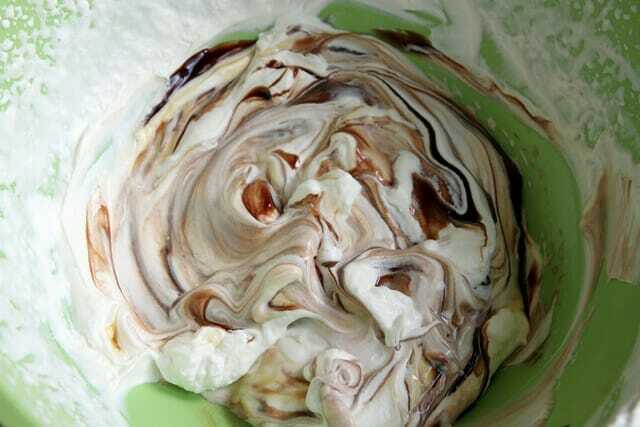 I drizzled the toppings back and forth over the whipped cream then drug a knife crossing the strips and marbled it. It was gorgeous! Then I added the toasted coconut. I think next time I’ll put the coconut on first. Next Post ❯ Next post: Hitting the Road with Kids: Travel Scavenger Hunt!